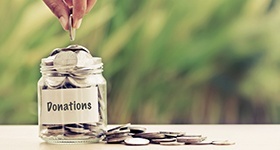 We believe in contributing and giving back to the communities in which we operate. Since our inception in 2004, a set of core values and principles have guided our business operations. One of those fundamental values is to be an ethical and trusting corporate citizen. This vision is manifested in our unwavering commitment to behave in a socially responsible way by giving back to our community and helping those who are less fortunate. 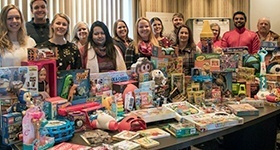 This year, several U.S. offices participated in the drive to make it a grand success and the biggest donation to the program ever. 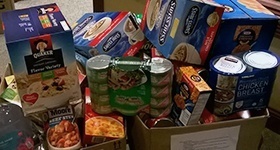 Donations from the annual food drive went to Second Harvest Heartland, which works closely with food shelves, pantries, and other meal programs. 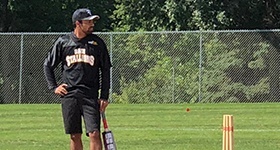 A group of Sagitec employees participated in a Cricket tournament to raise money for underprivileged children in India and abroad. 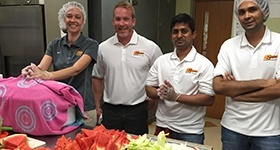 Employees from our corporate headquarters office in St. Paul, MN, made 150 sandwiches for people in need as part of Sagitec’s 2016 Day of Giving. 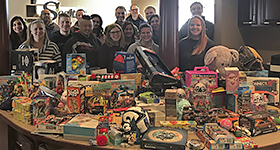 Our Minnesota employees proved that the holidays are about giving by donating 172 toys to Toys for Tots, hosted by the U.S. Marine Corps Reserve. 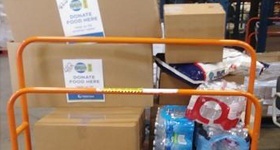 Our philanthropic employees donated 740 meals to Food Bank of the Rockies and 456 pounds of food to Second Harvest Heartland. 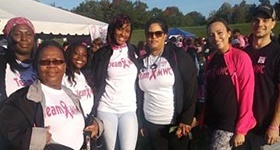 Sagitec is taking strides against breast cancer, participating in the walk for Breast Cancer Awareness Month. 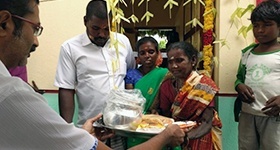 In collaboration with AID INDIA, we donated money to rebuild seven houses for families who lost their homes during the 2015 Chennai floods. We helped our client, WorkForce WV, rebuild their community after a one-in-a-thousand-year flood damaged homes and businesses. 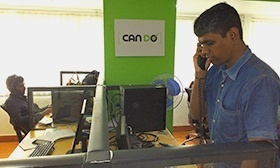 Sagitec donated 10 desktop computers to CAN DO, a non-profit organization providing skills and employment training to people with disabilities. More than 50 Sagitec employees located at various offices across the U.S. participated in a day of giving to help feed people in need.